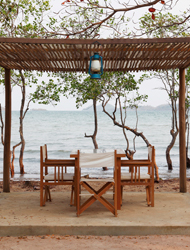 Dining... Kep is known for its fresh seafood, especially the crab - literally straight from the ocean to your plate. No visit is complete without at least one seafood meal at the oceanfront. Kampot Pepper Crab is a local classic - fresh crab fried with Kampot pepper, some of the finest black pepper in the world. This is a world-class local specialty. Traditional dining venues include the oceanside shacks at Kep’s famous Crab Market, and the seaside dining gazebos strung along the oceanfront. The oceanfront crabshacks of the Crab Market offer a local atmosphere and a wonderfully unsophisticated dining experience. Generally speaking, the spiffier places are easier, more consistent and have extras like a full bar and cocktails, but the mom-&-pop places offer a more authentic, down-home, if uneven dining experience. Just as popular as the Crab Market, picnic gazebos line the road near the Kep Beach intersection and in the oceanside park near the Crab Statue. Just find an empty platform that suits you, sit down and they will bring the menu and food to you. There is also growing number of restaurants serving foreign fare. 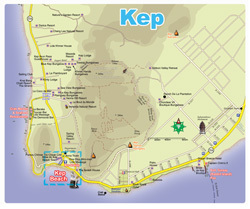 A few places clustered at the Kep Beach intersection including a couple of Italian places (Italian Corner) and a French bakery (L’Epi D’Or), and another bakery (Le Pain de Jade) and a couple of guesthouse places near the Kep Market area. Drinking... For sundowners, the place to be is either at a hillside hotel restaurant like Veranda, at the oceanside Sailing Club, or at one of the Crab Market bars, all offering sunset views and full bars. Late evening most of Kep closes down. A couple places at the Crab Market stay open until at least 11PM), with La Baraka often the last to close. The Italian Corner at the beach serves late if there are customers. 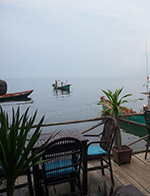 In the town and the Fisher Village area, the backpacker places are consistently open quite late, including Chez Bebe Bar on the other side Kep Market. 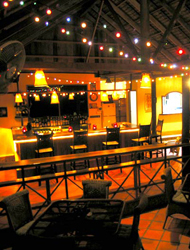 Rusty Keyhole bar from Kampot also just opened Kep branch east of town. Roadside beach bar between the Kep Beach area and town, open all day and sometimes late. Full bar, cocktails bar seating, in the oceanside park, near the road. 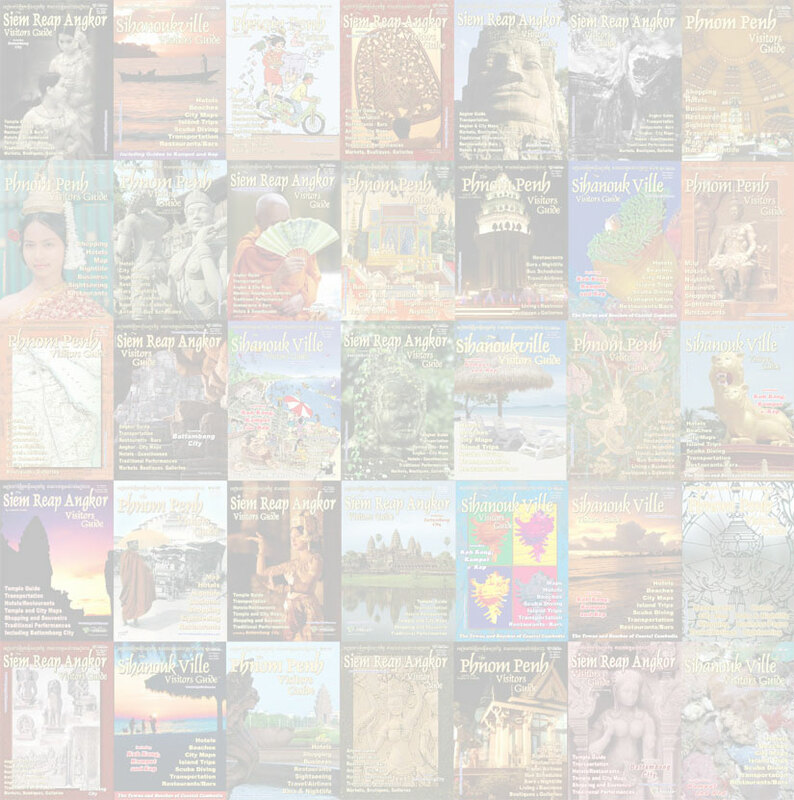 Diverse Western/Khmer menu with seafood and vegetarian options. Fantastic fresh made pizza, jams, ice cream, juices and shakes. Great hillside view. FREE DELIVERY! Poolside restaurant and bar at the Beach House hotel at the end of Kep Beach. 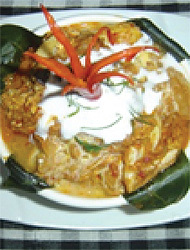 Menu of western and Khmer dishes. Western breakfasts. Full bar - beer, wine, cocktails. Bar, terrace and poolside seating. 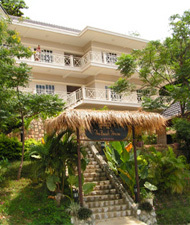 Kep’s first Mexican restaurant, also offering a good selection of Cambodian dishes. 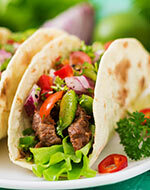 Tacos, burritos, and 5 different salsas from which to choose, at very reasonable prices. (Mex food for $3-$5, Cambodian dishes for $2.50 and under.) Breakfasts including very nice breakfast burritos. Free WiFi. Open 7AM-11PM. Happy hour 4PM-7PM with $0.50 draft. Sophisticated little hillside cocktail bar and gallery featuring the art of Olivier Menge and others. Art on the garden path and upstairs gallery. Cocktails, conversation and an ocean view. French and English spoken. Near Vanna Guesthouse. With beautiful ocean views, Breezes Restaurant is the perfect place to enjoy a romantic sunset cocktail or seafood dinner. 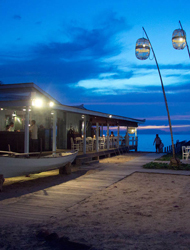 Located directly on the seafront, Breezes serves seafood and tapas that draw inspiration from both Cambodian and European culinary traditions. Relax in lovely outdoor seating and enjoy an original Breezes cocktail while watching the sunset over Kep. Very pleasant oceanfront balcony restaurant at Kep Beach. Offering nicely done, reasonably priced French and Asian fare with the emphasis on seafood. Good breakfasts including a very nice Pho (Vietnamese noodle soup) properly served with all of the appropriate fresh herbs, sprouts and condiments. Open 6AM - midnight. A wide range of both Western and Asian seafood styles with, of course, lots of crab options being near the Kep Crab Market. Prices range from $2 through to $7.75. The crab amok and garlic prawns come highly recommended. A Zen bar in the rice paddies just the other side of Kep Market. Laid back air, cheap drinks, rustic surroundings, Kep Ink tattoos next door. Open at 2PM until late. Very good late night bar. Open from2PM until at least 2AM. A couple of blocks from the Kep Market. Look for the sign 'Chez Bebe' on the main road, about 200 meters back in the paddies. Classic Crab Market seafood restaurant - a long wooden shack hovering over the ocean’s edge with a big selection of fresh seafood dishes. Friendly people, local ambiance. A nice balance between rustic local and spiffed up international. And the bar style veranda seating facing the sea is a nice touch. Full bar with cocktails and a 4PM-8PM happy hour. Oceanside restaurant and bar at the Kep Crab Market. A step up from the average Crab Market place with US Democrat Party decor and very friendly and attentive service. 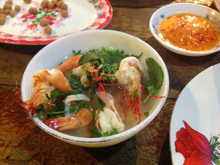 Offering Cambodian food with the emphasis firmly on fresh seafood. Try the unique and very well reviewed Crab Amok. Full bar, cocktails and a selection of wines. Wifi. Open 11:30AM - 10:00PM. Comfortable little Italian/Cambodian place at the Beach intersection. Pizzas, pastas, a few mains, regional choices, even some fast foods. Full bar, sometimes open late, one of the last places to close for the night. 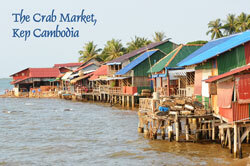 A classic, rustic, family-run Crab Market crabshack offering all of the usual fresh-from-the-ocean fare and Khmer dishes. Crab dinner for 20,000R-40,000R. Ocean’s edge, sunset view. An authentic Crab Market dining experience. Offering seafood delivery al over Cambodia. Fine dining next to the sea. Recently opened to the public, this upscale seaside restaurant serves regional seafood dishes featuring fresh local produce and spices. 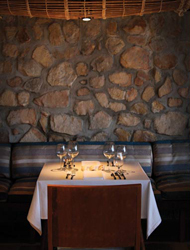 Choose from daily set menus and a la carte fare, complimented by extensive bar and wine list. Reservations. Pizzeria, classic crab restaurant and western bar in the Crab Market. Oceanside dining like all of the crabshack, but uniquely, La Baraka also has a 1st floor terrace. 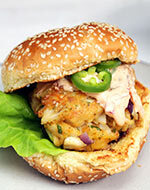 Serving wood-fired pizzas, western dishes as well as all of the crab market seafood classics. and a proper western style full bar. Often one of the last places in the Market to close for the night. Good place for an after dinner drink. Lovely hillside restaurant with a view over the jungle and ocean. Serving Khmer and French inspired cuisine for lunch and dinner using organic products. Homemade ice-creams and Breton pancakes at anytime of the day. Enter from the guesthouse side or the national park road. Located on the hillside. From Road #33A, turn east (toward the hill) at the oceanfront road intersection. Unique place on the hillside in the National Park, offering one of the best sunset views in Kep. Cozy balcony with a few tables, salads, sandwiches and drinks. Lots of area information. Recommended. National Park Road. 8PM-4PM, closed Mondays. Bakery and cafe on the 'Fisher Village' road, oceanside near Kep Market. A variety of fresh baked traditional French breads, quiche, brioche, pies, and snacks. Good coffee. Cool place. 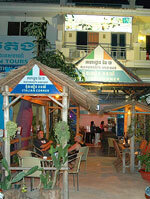 Several nearby backpacker friendly places - guesthouses, restaurants, bars. On the oceanfront road, behind Kep Market, near the Fishing Village. 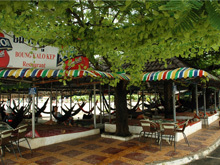 French bakery and café at the Kep Beach intersection (Beach Square side). Excellent selection of fresh baked breads (including many specialty breads) , cakes and pastries. Cakes made to order. Good-value selection of western breakfasts. Good coffees including espresso. 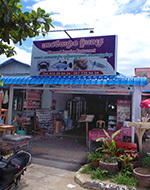 Another branch is located in Kampot. 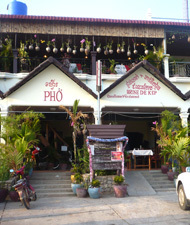 Long standing restaurant specializing in Kep crab, seafood and other Cambodian favorites. 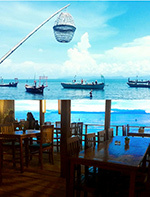 Located in the Kep crab market amongst other local restaurants. Range of drinks including some creative cocktails. Looking out to sea making for a pleasant location to sample Cambodian cuisine. That’s right! 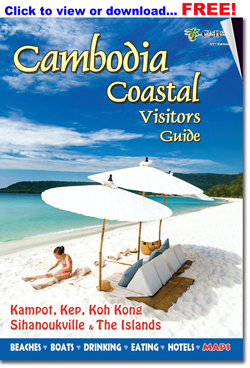 Rusty Keyhole from Kampot, now in Kep. 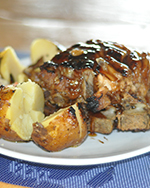 Same great menu of western favorites including Rusty’s famous ribs. Kitchen open to 9:30 and bar open late. Big TV showing sports and events. Located with Rusty Keyhole Bungalows. 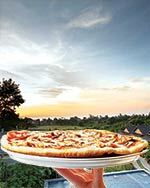 Ideal for watching sunset. A former fisherman’s house built with a pier and a dock. Offering a variety of cocktails and a great menu for lunch and dinner. A very popular Sunday brunch. Pool table, ping-pong, volleyball. While you are there, hire a Hobie Cat, do some windsurfing or kayaking on the ocean. Check the website for special event. Free wifi. Open Tue - Sun, 10:00AM - 11:00PM. A true culinary experience in a wonderful setting . 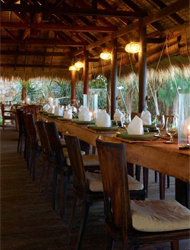 A Kep fine dining experience where Chef Janine (South African 5-star ex-Chef) and her Cambodian team invites you to taste a fusion of international and local cuisine. “The daily fresh ingredients evoke a sense of adventure and lift the senses whilst sampling authentic Cambodian flavors.” Open daily from 7:00AM - 10PM. The Secret Bar and Restaurant: A unique open-air restaurant surrounded with mountains and with a sweeping view of the Kep seaside and sunset. Offering a wide range of fresh seafood, Asian and western cuisine. Also daily breakfast buffet, a la carte dining, and happy hour. Generous portions, good wine selection, free wifi and scheduled live music. 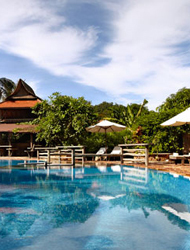 Veranda Pool Bar: Two pool bars - one by the Garden Swimming Pool and another at the Infinity Pool! Scenic mountain surroundings and ocean sunset view. Specialty cocktails, beers and wines. Happy hour 5PM - 7PM.